A conversation with Dickie Carter always includes his love of God, family and Logan County. They are engrained in his being. 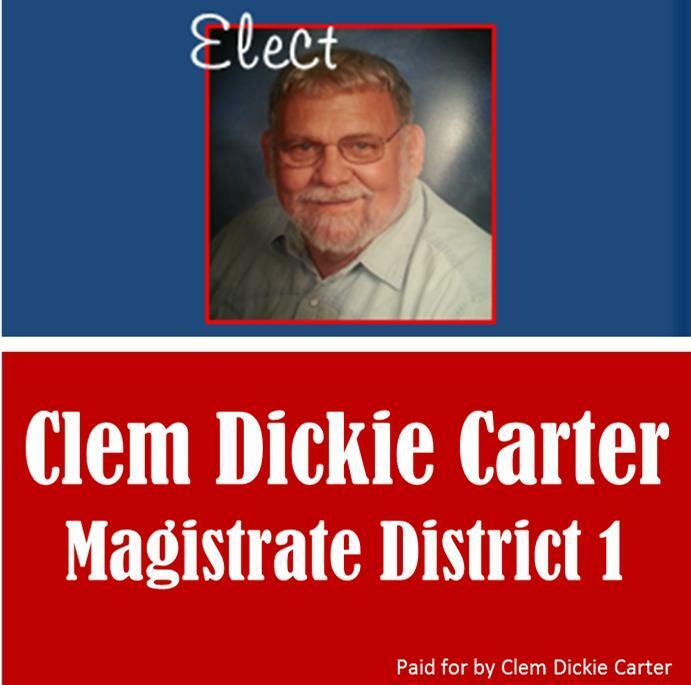 Although they haven’t been consecutive, Clem Dickerson Carter is in his 15th year serving as a Logan County magistrate as the representative of the First District. He’s running for reelection in Tuesday’s General Election. He won a multi-candidate race in May’s Primary Election. 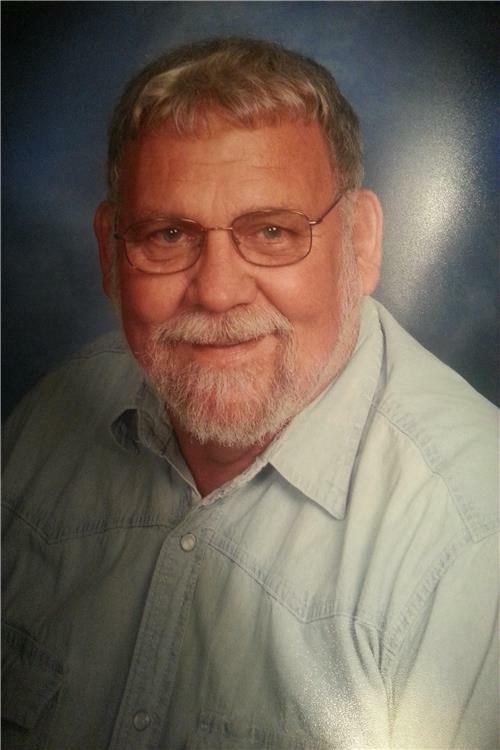 Dickie Carter was a football standout and a student government leader at Russellville High School, graduating in 1963. He attended Western before studying radio-television repair at the vocational school in Warren County. There he was introduced to a new concept, computers, by 80-year-old inventor John Oaks. Carter is involved in many organizations and activities, including Cattlemen, Search & Rescue, Red Cross Disaster Relief, Pastfinders, and Concerned Citizens. He volunteers through the Agape Service Foundation in prison and jail ministries. Dickie and his wife Linda live on the Newtown Road on the northern edge of Russellville where he grew up. His daughter and son-in-law, Christy and Alan Marksberry, are teachers in Lexington. His granddaughter, Laura Grace Marksberry, is a senior at WKU, and his grandson, Carter Marksberry, is a senior at Paul Lawrence Dunbar High School in Lexington. He is close to his sister, Janice Humble and her husband Mike, who lead Agape. He is very fond of their sons, Jason Humble, Dr. Brian Humble, and the late Chief Matthew Humble. The community has joined the Humbles and Carters in grieving over Matthew’s recent death. His primary goal for fiscal court and Logan County is reducing the use of drugs “by educating kids more about drugs.” In prison ministries, he says he has dealt with families who have three generations of drug offenders. Other areas of interest are jobs, drugs, “something for the youth,” speeding in residential areas, trash on the roads, stray dogs and cats, and unlivable housing.